Kolabtree helps you hire freelance scientists from top institutions worldwide. 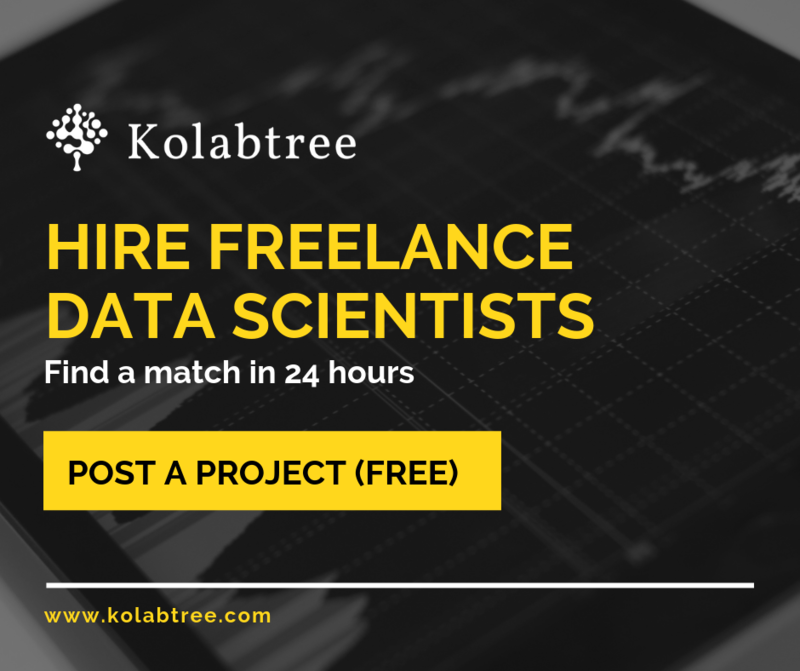 With 7,500+ PhD-qualified freelancers across 2,000+ disciplines ranging from microbiology to data science, Kolabtree helps you access expertise that is unavailable elsewhere. It only takes a couple of minutes to get started. It’s free to post your project and get quotes from highly-qualified freelancers. If you’re looking for help with posting your project on Kolabtree, here are some handy guidelines for filling up each section of the form. While writing your project title, try to summarize the main goal of your project in a few words. You can get into the details in the project description. Choose a category that best describes your project. If you can’t see any options that fits your project, select ‘Other’ and fill in the expertise you’re looking for. These categories are mapped to the services freelancers offer, so when you choose a category, you are automatically targetting relevant freeelancers. You can choose a subcategory to specify what skill you’re looking for. You can choose to hire freelancers either on a Fixed Fee or an Hourly Rate basis. Fixed Fee: Choose a fixed fee if you know the scope of your project and are clear about your deliverable(s). You can break down large and complex projects into smaller milestones and pay against each milestone as they are achieved. Hourly Rate: If you’re not entirely sure about the scope of your project, choose to pay by the hour. Multiply the hourly rate by the no. of hours you estimate the expert will take to arrive at a rough estimate of the budget. You can also request for a timesheet from the freelancer to review the no. of hours spent. Good to know: If you’re not sure about the budget, you can always arrive at a fee after discussing with freelancers once you post your project. We try to recommend a budget for each project category, based on projects that have been completed successfully on Kolabtree in the same category. However, in case you are not sure, you can provide a rough estimate. Your preferred budget will help freelancers quote a fee when they bid for your project and allow them propose a scope of work that fits your budget. Once you receive bids, you will be able to communicate with the freelancers to finalize the scope of work and budget. You can modify your budget (also known as your project fee) once you post your project. Freelancers who are interested in working within your budget will bid on your project. Once you discuss your project in detail with them, you can finalize on a fee that both parties are happy with. Good to know: You only pay once you are happy with the work done. Your funds are held in escrow by Kolabtree until the work is delivered and you’re satisfied with it. You can edit your budget even after posting your project. If you post a project publicly, it will appear on the project listings page. Project details can be viewed by all logged-in users on Kolabtree. All Kolabtree freelancers can view and bid on your project. However, if you’d like to restrict the visibility of your project only to those you personally invite, then you can choose the “Private” option. In this case, only the freelancers you request a quote from can view your project and send you a proposal. Choose a date by which freelancers have to submit a proposal for your project. If you’re looking for an expert urgently, then choose 1-2 days from the date of posting, so that interested freelancers can apply within that time frame. If you’re not in a hurry, then choose 2-3 weeks from the date of posting. By default, the application date is set to 7 days from the date of posting. Here’s where you can get into an in-depth description of what you’re looking for. Define the scope of the project and the deliverable(s). You can add tasks and define the scope of work in your project description. If you’re not ready to provide specifics, provide a problem statement, describe the challenge you’re facing or outline your requirements as best as you can. This will help freelancers provide an accurate quote and proposal. If you’re looking for freelancers with expertise in specific tools, methods, software or equipment, mention it here. Good to know: Don’t want to get into details? You can easily upload and share custom NDAs with freelancers for added security and confidentiality, after which you can discuss your specific requirements. Upload files that are relevant to your project description. These can be sample datasets, relevant images or supporting documents. Enter a promotional code if you’ve got one. Sign up for our newsletter to receive seasonal discounts! Once you post your project, your dedicated Account Manager will handpick relevant freelancers and invite them to send you quotes. You can also invite experts yourself.